Make a work of art out of every fingerpainting session! Simply slip students’ fingerpaint artwork underneath any one of our R75421 Masterpiece Fingerpainting Frames. Each of the Masterpiece Fingerpainting Frame packages comes with special fingerpaint paper that slips perfectly into each of the frames. Use regular fingerpaint on the paper. 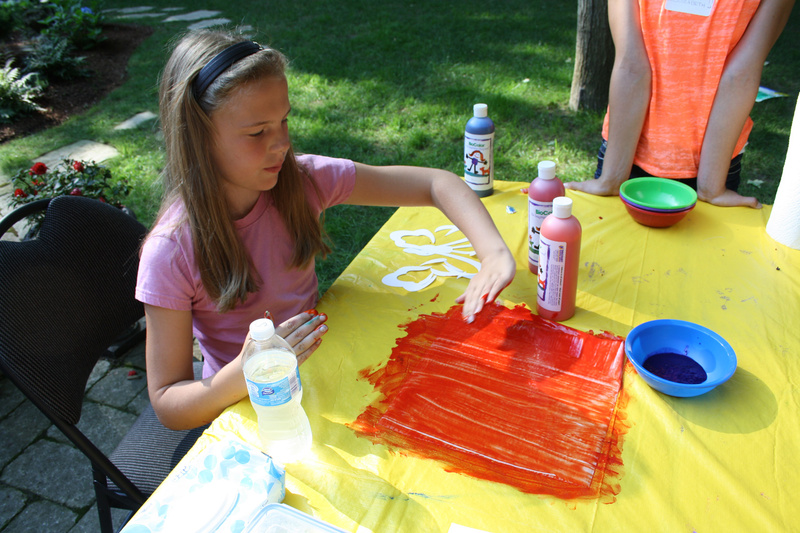 To enhance students’ sensory awareness, we asked the art campers to close their eyes as they fingerpainted. 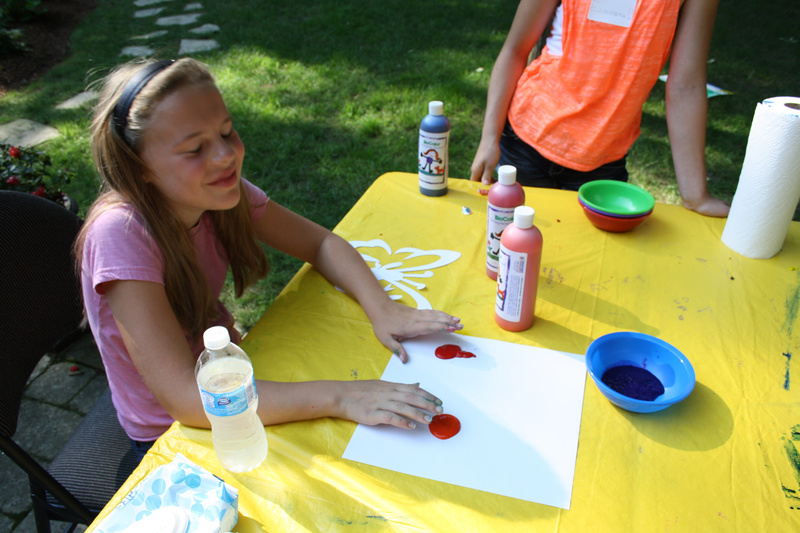 Many of the campers loved the freedom they experienced with fingerpainting. Instead of painting a specific image, students could simply blend colors together and take delight in getting ‘messy’ without much clean-up needed. To make their fingerpainted backgrounds even more intriguing, we dripped a blob of one paint color onto one side of the paper, then took another color and repeated the same for the opposite side. This art camper blended similar colors together: Red and orange. 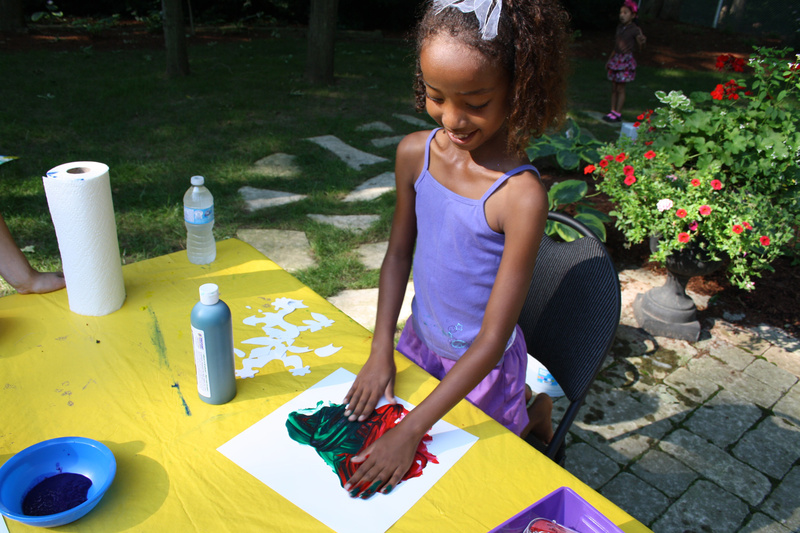 To make her painting more distinguishable, she decided to create patterns in the paint with her fingers. The frames are die-cut into 6 beautiful designs. Choose from a gecko, butterfly, fish, frog, turtle or bird. The colors your students choose in their fingerpainting artwork will show through the stylized designs. Pop out the die-cut pieces from the rest of the frame. To slip the fingerpainted background into the Masterpiece Fingerpaint Frames, locate the tabs on the sides of the frame. Lift the tabs up and slip the edge of the fingerpaint paper in. Secure the paper on all four sides of the frame. Try out a variety of different fingerpainted backgrounds! Change up the background to give your masterpiece a new look. Thanks for stopping by! If you have any comments or suggestions, or you would like us to publish a post on your work, drop us a line through the contact form! 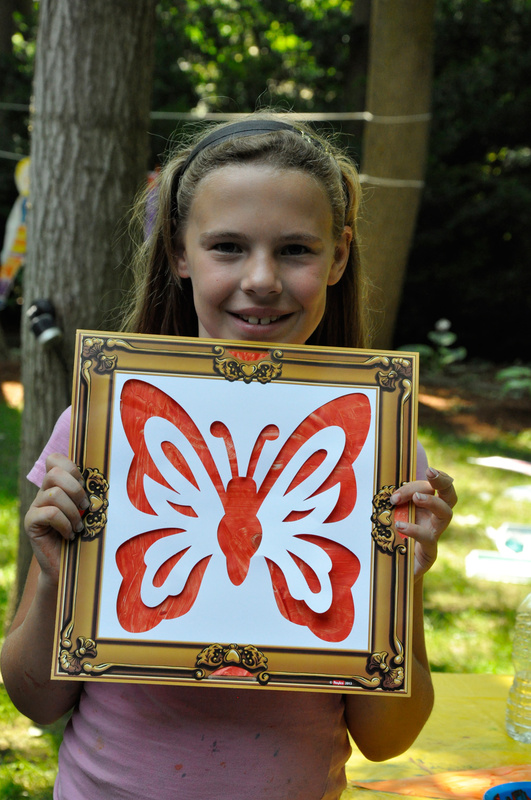 This entry was posted in Art and tagged art, craft, education, fingerpaint, kids, masterpiece finger paint frames, paint, process art, school, sensory by roylcoblog. Bookmark the permalink.